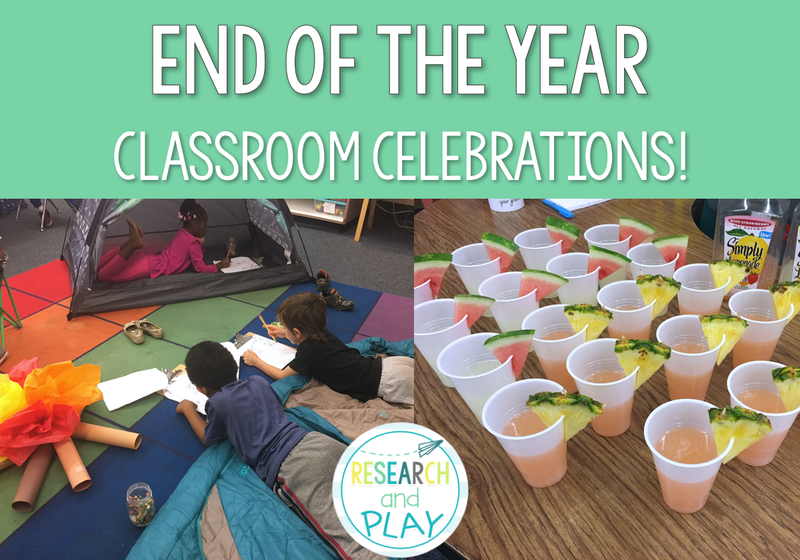 Countdown Celebrations: Fun Ways to End the School Year! We made it 180 days, everyone! What a wonderful year. I had so much fun with my class this year and I wanted to give them a fun end to the school year. 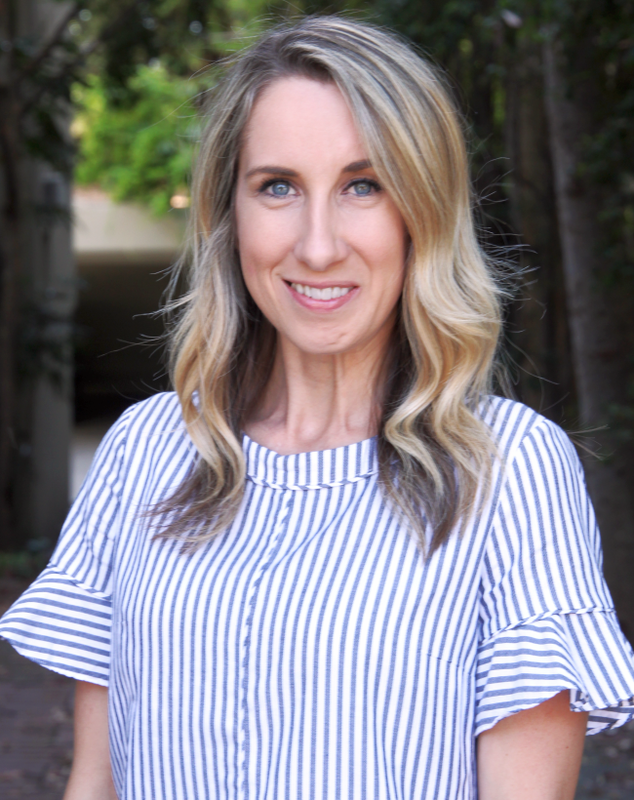 In the past, I've done the 10-day balloon pop countdown with little activities like "take your shoes off all day" or "eat a picnic lunch outside." This year, though, I wanted to go bigger. These celebrations require a little bit of planning and set-up but are SO worth it! I brought beach blankets and towels, beach chairs, and beach balls. Students brought a beach towel with them and were asked to dress in something that could get wet. Some students wore swim clothes (school appropriate, though)! On the whiteboards, I projected an image of a beach and played Hawaiian-themed music on the speakers during play and work times. During math, we used the May B.U.I.L.D. 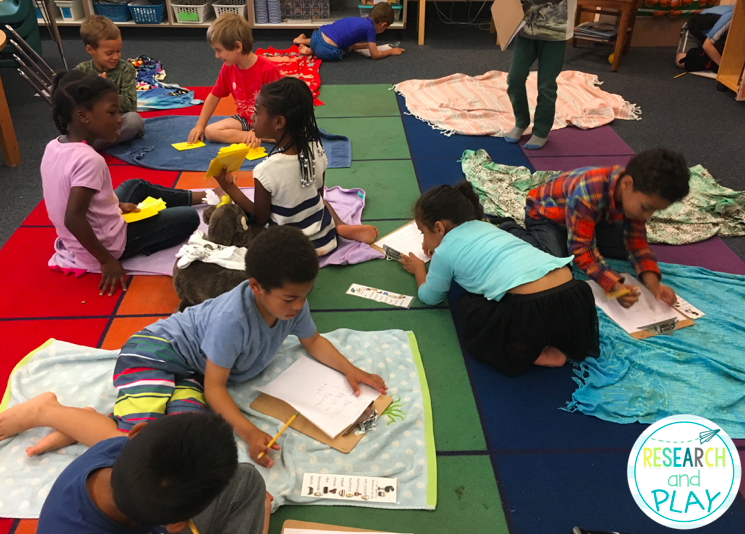 Rotations by Elizabeth Hall - Kickin' It In Kindergarten. They are summer/beach themed, so it was perfect! 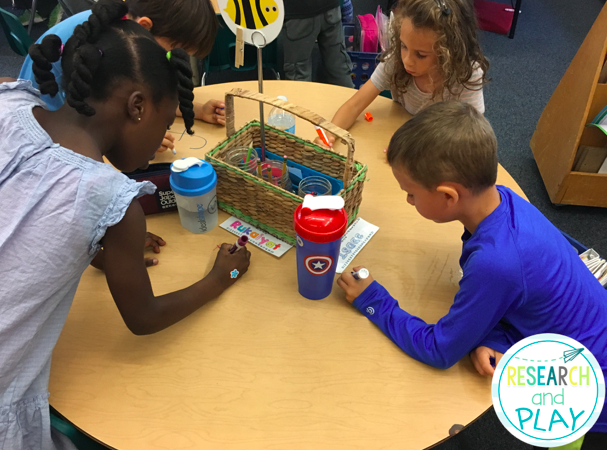 During word study time, we used Beachy Fun by Carolyn Sullivan from Buzz Into Kinder. 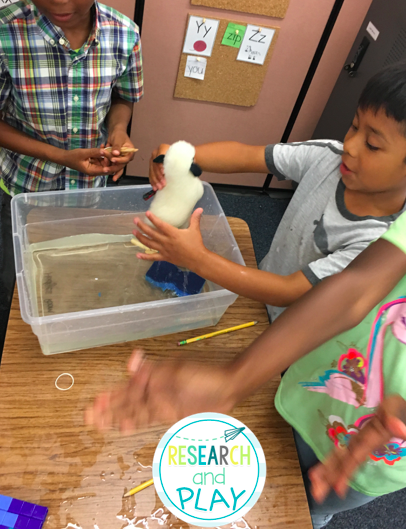 This entire resource is beach themed, but we used the ELA activities and games. During reading, we read Scaredy Squirrel at the Beach. Hilarious! We had a discussion about story elements and created a class circle map of describing words for Scaredy. During writing, we tasted some beach-y drinks and wrote our opinion of them. I bought regular and strawberry lemonade along with some pineapple and watermelon. While they were at lunch, I poured and set up the drinks so they saw them as soon as they walked in. You should've seen the look on their faces! They took a drink to their seats, tasted it, and wrote. We ended the day outside playing in the water hose (even though the actual beach is only half a mile away, ha!) and dried off with our towels before dismissal. This was a SUPER fun day! I asked parents to allow their children to dress as any fairy tale character they choose. At this point, we had read most of the common fairy tales so the students had been exposed to a variety of characters. I was subbed out on this day (sad!) but you could wear a crown or wizard hat and carry around a magic wand all day (which I have of course). On the whiteboards, I projected an image of a fairy tale castle. A princess who can defend herself, thank you very much! During math, we used the Fairytale Puzzle Pastes by From the Pond and my students had so much fun with them! 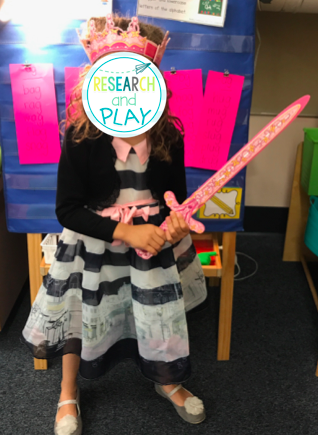 During other parts of our day, we read multiple fairy tales, did character talks, made anchor charts of story elements, and even let some students come up and act out their favorite fairy tales "charades" style. We had to guess which fairy tale they were acting out! Trying to build a raft to get the "billy goat" across the river! Messy but so fun! The planning phase of creating an "egg grabber" for Jack to use to pick up all his golden eggs! This day cost the most money and required the most setup between lessons, but it was totally worth it! 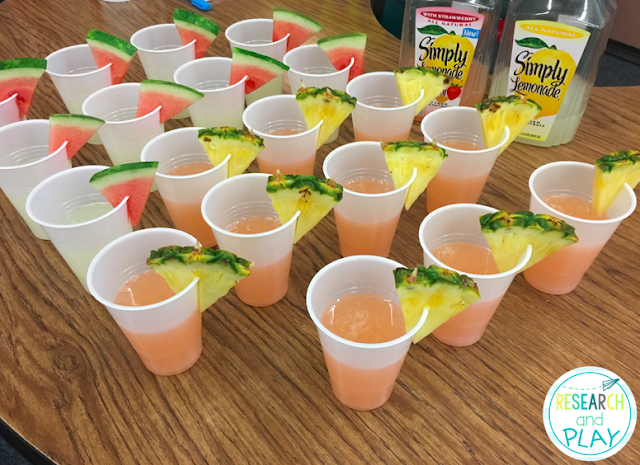 I know that not all classrooms would be able to do these activities as described because of allergy concerns or sugar restrictions. Fortunately, we did not have any allergies this year and were able to do these activities! During math, we were studying 2D shapes so we sorted snack foods by shape! 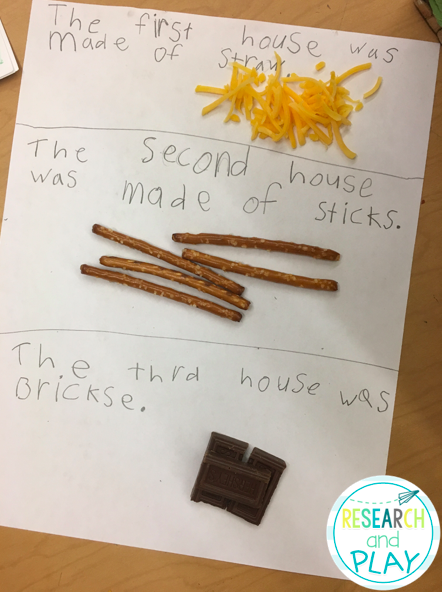 During reading, we read The 3 Little Pigs and then used shredded cheese, pretzel sticks, and Hershey bars to sort the materials the pigs used. 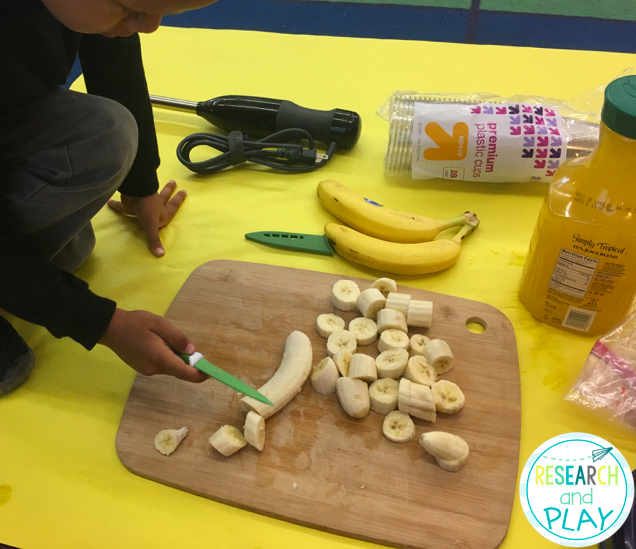 During writing, we did a "how-to" writing piece on making a strawberry banana smoothie! This was one of the easiest days to prep for! 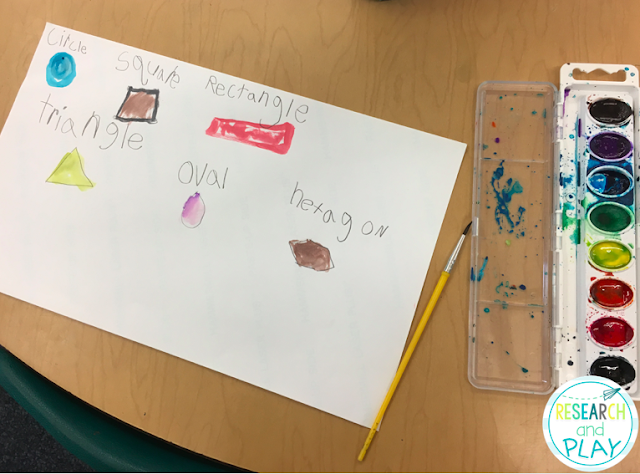 We did our normal routines and kept our learning goals the same, but instead of using a pencil or crayons, we painted! The kids thought it was amazing that they were able to paint everything they did during the day. And yes, we definitely used pencils for some things, but the majority of the work was done with paint! I found the tent pictured below and two folding chairs at Walmart. The chairs were only $7 each and the tent was $14! I scooped them up and will be able to use them over and over again. I brought our sleeping bags from home and laid those out by the tent. To make the fire, I rolled up about 7 pieces of brown construction paper and taped them to create the logs, then I used orange, yellow, and red tissue paper to make the fire! The majority of our work was what we would typically be doing. To make it more fun, though, our table groups rotated to the "campsite" to complete their work. They got to stay there for about 20 minutes at a time. 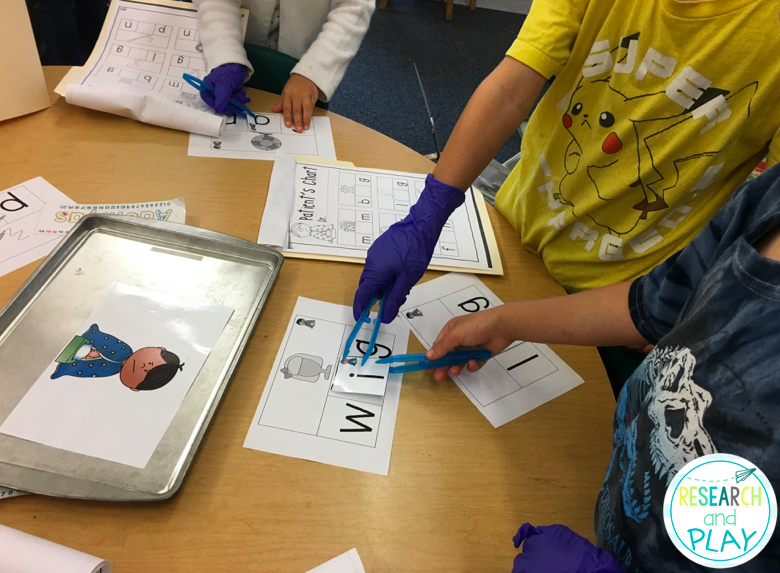 We did use a fun resource called Camp Kindergarten from Happy Little Kindergarten that my students loved! The camping journals were awesome! Not much had to change in our classroom on this day EXCEPT for when we did Vowel Surgery by Elizabeth Hall - Kickin' It In Kindergarten. Her resource explains exactly how to set up your room, what materials you need, and even has pictures! It's one of my all-time favorite activities. During math, we were Construction Workers and used our pattern blocks to build homes. The one pictured above has a fence around it and a pool in the backyard! During word study, we did Vowel Surgery. 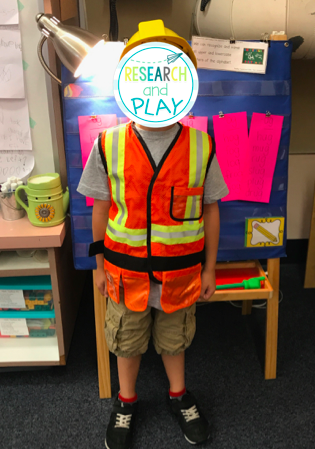 My students were so darn excited for this activity that they kept on their doctor masks and gloves for the rest of the day. During reading, we read The Jobs We Do and wrote about what we wanted to be when we grown up! Such an easy and FUN day! Take anything you'd normally teach and turn it into a fun, competitive game. 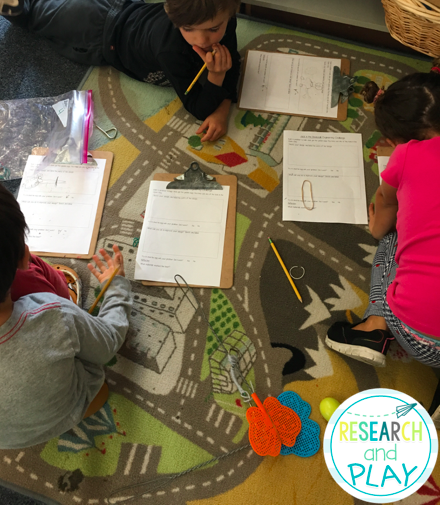 During math, we played Shape Hunt. 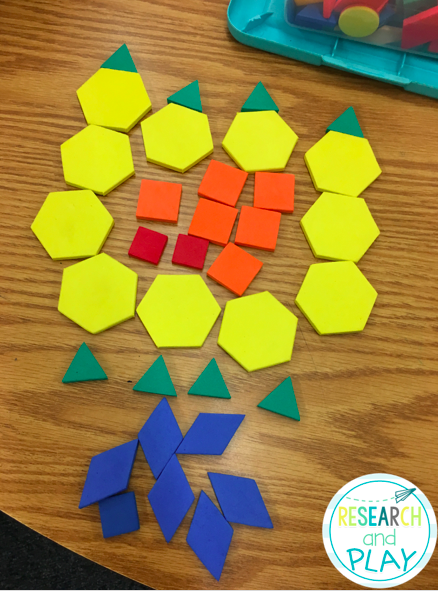 They ran around the classroom when I would shout out the name of a shape and find it! They only had 10 seconds to find one, so it was fast-paced! During word study, we played Musical Sight Words (my FAVORITE kind of game). 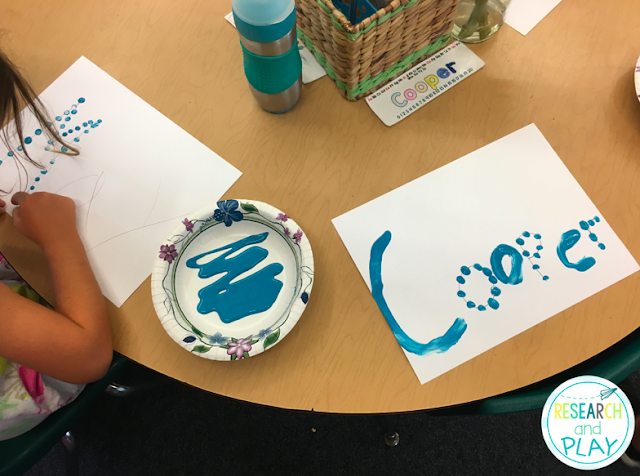 Our tables can be written on with dry erase markers (it comes off easily with Clorox wipes), so students grab a marker and stand by their chair. I turn on a song, they walk around and around their tables, and when I pause the music I shout out a sight word. They stop wherever they are and write it! Then I have everyone shout out how to spell it. Then we start the music back and keep going! We also played 4 Corners when I would shout out a character from a fairy tale we'd been reading. They had to go to the corner of our classroom that I had designated for that particular fairy tale. Well this day is pretty self-explanatory! I will say that Netflix has a tremendous selection of kids' movies. 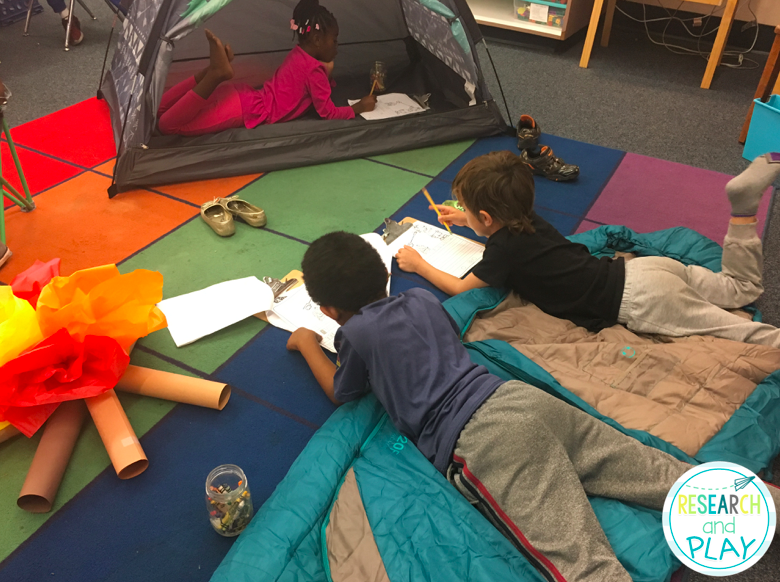 We watched a full-length movie between snack and lunch, but also watched Numberjacks during math and Dinosaur Train on PBS Kids during writing time. I both love and hate this day, ha! On the last day of school, we take a walking field trip to a park down the street. Parents come, we have a picnic lunch, I give out our End of the Year Certificates, and we just enjoy our last few hours together. It's always a bittersweet day and usually includes a few tears! I hope you have enjoyed reading about our end of year celebrations. I can't wait until I can do it again next year! How do you celebrate?